"The next two years are my final two years of veterinary school, and thus my hardest two years of training"
I have seen how dedicated and professional Ben is while still undergoing his final years of study at MU. He shows a stand-out amount of potential and would be an genuine attribute to any vet practice as well as a TV show like Bondi Vet. Would love to see ben on the telivision - very passionate about animals and has a great aense of humour to match! 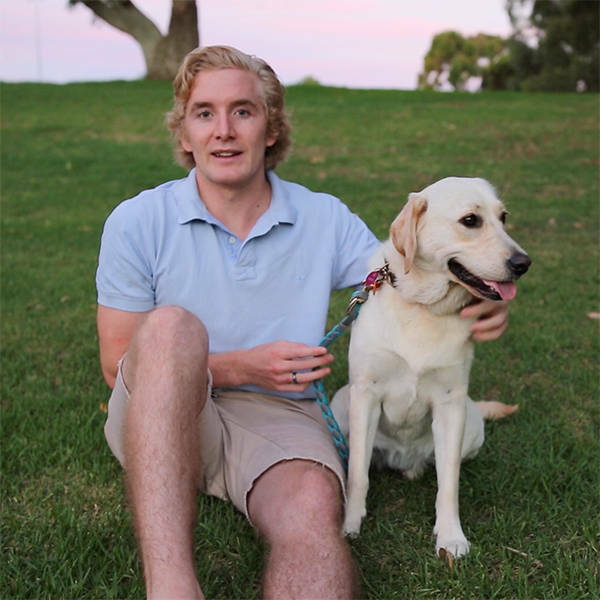 Ben saw a gumtree add, drove 6 hours to rescue his dog from people whom had her chained to a slab her whole life. He has overcome obstacles with a maturity many of us never gain. Always supportive and amicable with colleagues, enigmatic, courageous and compassionate with a huge heart. Ben is the most enthusiastic, hard-working and personable person I have had the pleasure of working with. Despite numerous obstacles, he always rises above and puts everything towards his career goals. He has life experience beyond his years and he is going to be an extraordinary vet. I think that you should be focusing on finishing your degree rather than trying to stroke your own ego. Pathetic attempt to undermine the real world experience that actual vets have earnt by attempting to completely deny yourself any through getting an actual job. Ben is compassionate, articulate, and simply loves animals. He is a true Gentleman and a great advocate for the veterinarian community. His background growing up on an English Dairy Farm has given him a great understanding of animals and animal husbandry and beaviour. Good luck mate. I'm pretty sure this role was made for Ben (or Ben was made for this role?). Anyway, Ben would be a brilliant TV vet. He is outgoing, enthusiastic and willing to give anything a try. I'd watch his TV show. Ben is a young bloke with a huge heart. He throws himself into anything and everything with confidence and optimism. He's a great communicator and his enthusiasm for his vocation would make great tv. Give him a red hot shot!